The idea of you and your family relocating to another place is already a overwhelming task. Are you prepared for your Furniture Removal? Well, if these issues are not yet settling in to your schedules, I think this is the right time now to take a pause and make a thorough analysis of what kind of moving plan are you going to undertake. The success of your relocation depends on what decisions you make and most importantly your chosen furniture removal company who will do all the moving agenda. Relocating is not as easy job to do, especially if you are bombarded with other moving concerns like: short span of time left to do the packing and furniture removal, finding a perfect new home for your family, your children’s education and other factors that would greatly affect your conditions in settling down easily in your new environment. 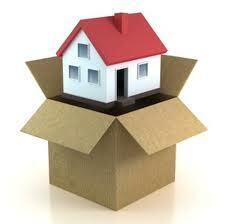 The first step is to find an ideal place in your home where you can use it as an area for the packing preparations. Make sure that there is enough supply of all the needed packing materials like boxes, scissors, packing tape, bubble wrap, and other necessities for your furniture removal concerns. Always coordinate with your chosen furniture removalists about all your packing requirements. Fifth, do not forget after packing your items in boxes to label them properly and separate filled boxes from those that are still undone. Try segregating them from delicate to less care needed items and from heavy to lesser weight. Always keep the area clean and tidy. Continue doing the above steps for all your moving concerns. Day by day you will see amazing results of the actual tasks that have been accomplished. Keep in mind that when done in an organized and well-planned manner, any move or relocation can be as stress free as you picture it out to be. Be safe always…only entrust all your relocation needs to a certified furniture removal company with you Interstate Removal.